It’s my birthday next week! 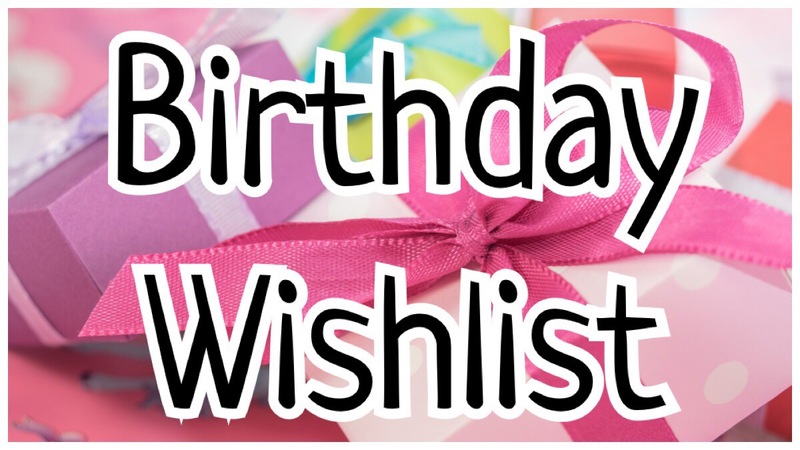 There’s a couple of thing on my birthday wishlist – some serious, some not so serious, some you can buy and others you can’t buy and some that are just plain outrageous! I have a love/hate relationship with these things! I LOVE them but I HATE they cost so much! And you can’t have just one, you have to have the whole set. My current obsession is Zootropolis and Guardians Of The Galaxy ones. You can have a nosey at my current Funko Pop wishlist here. I’m struggling for time at the moment. So if someone can send me some more time I’d be ever so grateful. Just an extra week would be much appreciated! I love this show! I’m almost finished watching Series 4 – I have 10 minutes left to watch! And of course now Series 5 has started on CMT in America. I really want to see it but I can’t find it here! I’m starting to sound like my Nain saying I need a shower cap but I do! I don’t wash my hair daily (every other day though) and so need a cap to keep it dry on the “off” days. I’ve had the same one for ages and the elastic has now gone which means I need a new one. But rather than go for one of the disposable ones like what my Nain has I’d rather have a funky one like above! Isn’t he cute?! Another thing I would like at the moment is sleep. Our littlest has a nasty night time cough at the moment which means she’s waking up almost every hour during the night. Which means both hubby and I are knackered at the moment! So yes please send some sleep our way – for Miss Mostyn as well as us! I currently take photos on an iPhone and I will admit, they are not the best quality. So I’m undecided of whether to go for a new different phone with a better camera or invest in a snazzy DSLR camera. I’m not sure I’d get enough use out of it to warrant the cost of it though. I’ve not actually researched into cameras so not sure which one to get even if I did decide to invest. Everyone seems to be talking about the Nikon and the Olumpus Pen though. lol cute shower cap idea! WOW! That shower cap looks so funny! I want one too, although I would use it only when camping, so maybe it’s not the best option to walk like that around the camping site. Haha well maybe I wouldn’t advise that cap around a campsite!